Even in the digital age, a well-designed veterinary business card and stationary remains important components of any veterinary hospital's branding and marketing toolkit. It's important to understand what your veterinary business card/stationary are capable of saying about you and your practice. Knowing precisely what to communicate, and the methods of best displaying it, however, is no easy task. The design and marketing team at VetNetwork understands your needs and how to create designs that leave a lasting mark on pet owners and business associates. 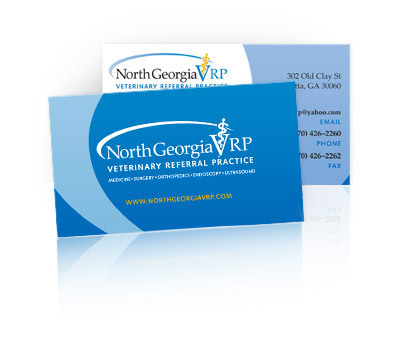 Call VetNetwork today at (800) 564-4215 or email us for veterinary hospital business cards and stationery that separate your practice from all the others.